Imagine a world where you meet people only online. Okay, you're right. Human civilization has not reached that point. We still live in a world where business leaders attend conferences and meet-ups. That said, most face-to-face networking happens online, and in fact, many business deals start on social media. 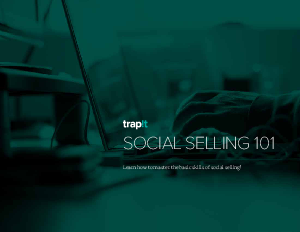 Social selling is no longer a "nice-to-have" skill for sales people. It is now a "must-have" skill. Download today and start exceeding your sales quota!